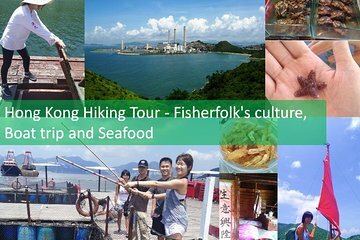 Hike around Lamma Island and discover Fisherfolks’ Village, Tin Hau Temple, and more as you explore. After leaving Hong Kong Central by ferry, you’ll hike along Lamma Island’s trails with a guide. Soak up views from the second largest power station in Hong Kong, and even try your hand at hookless fishing, if you wish. A round-trip ferry ticket is included, along with some free time for a seafood lunch on the island. I missed this tour. So I went to Lamma Island on my own. I enjoyed the ferry ride there and walking around the island and taking lots of pictures.